Question: I don’t want to get divorced. Can I get an annulment instead? Answer: Annulments are different from divorces. 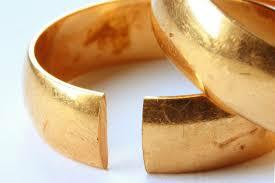 A divorce is the legal end to a marriage, granted by a Judge. In Canada, you can obtain a divorce if there is a breakdown in the marriage, based on one of three grounds: living separate and apart from your spouse for at least one year, cruelty (treating your spouse with mental or physical cruelty that makes it no longer possible to live together) or adultery (cheating on your spouse). An annulment is a declaration from the Court that your marriage never existed from the start, as if you were never married. It means that, at the time the marriage occurred, there was some defect that prevented the marriage from being valid. You could seek an annulment on the grounds that your marriage lacked formal validity, meaning that there was a legal defect in the marriage ceremony (i.e. the person who performed the marriage was not authorized to do so). 1. The spouses are unable to consummate the marriage. To be clear: the Parties are unable to have sexual relations with one another. 2. One of the parties to the marriage was already married to someone else at the time of this marriage, and that prior marriage has not ended in divorce or annulment. Under Canadian laws, you cannot be married to two people at the same time. I recommend confirming that you have a Divorce Certificate (or at least a Divorce Order that is more than thirty-one (31) days old) or a declaration that your previous marriage was annulled if you were previously married to confirm that you are no longer married to your previous spouse. 3. The parties are related. You cannot marry a parent, a sibling or half sibling, even if they are adopted. 4. One of the parties is underage. You need to be at least sixteen (16) years old to get married in Ontario, as long as you have consent from your parents or if you are an emancipated minor. 5. One of the parties could not properly consent to the marriage. If a party was forced under duress into the marriage, or if fraud or mistake was involved (i.e. you thought you were marrying the love of your life but through a prank switch, you married his identical twin brother instead), then this affects a person’s ability to properly consent to the marriage. If you have questions about annulment or divorce, feel free to contact me.